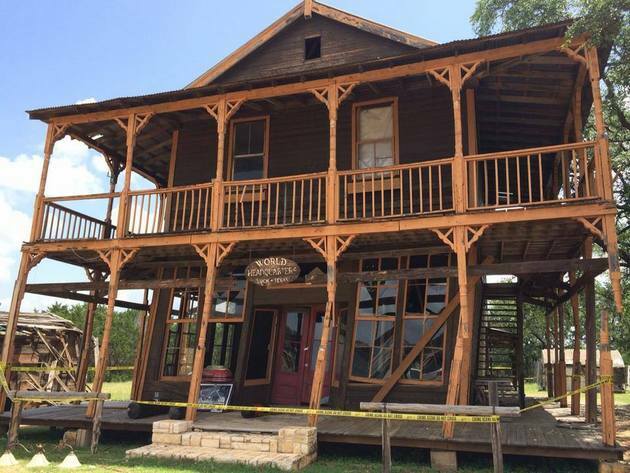 Luck, TX was originally constructed as part of the set of the movie The Red Headed Stranger released in 1986 as a companion to Willie’s album of the same name. 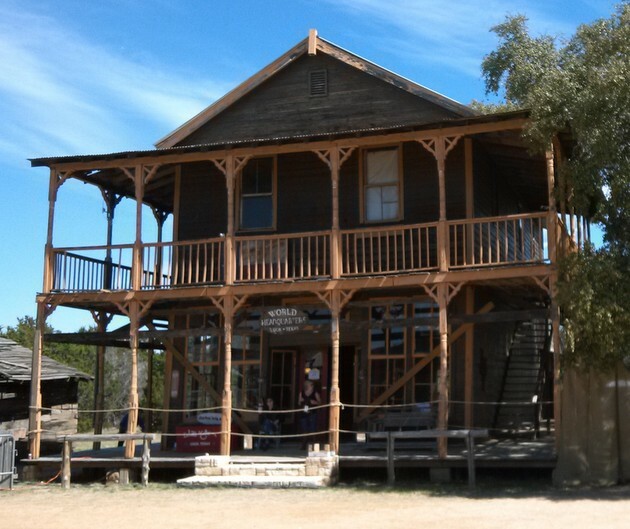 The town was originally called Willieville, and was constructed to be a replica of Driscoll, Montana. 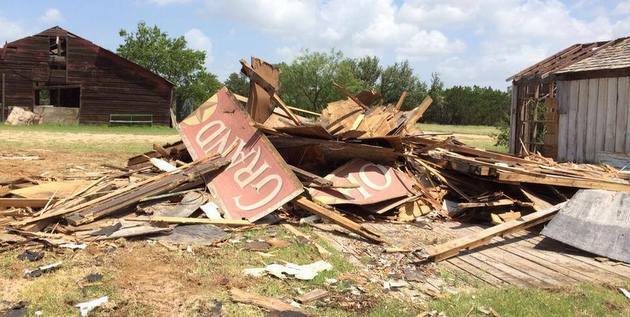 It’s located near Willie’s golf course about 30 miles outside of Austin. 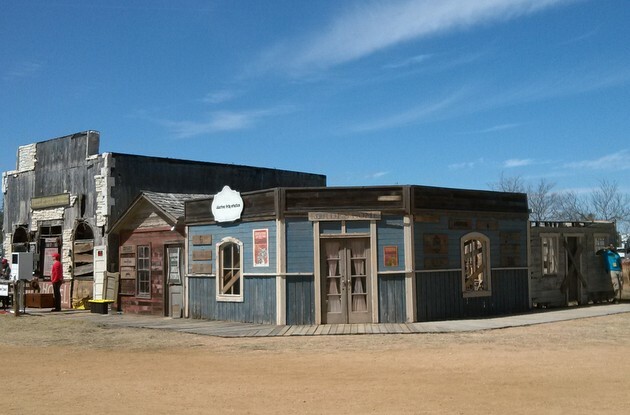 Though some of the buildings of Luck are made as facades, some are real structures, and the town regularly houses movie and video shoots, private events, weddings in the town’s chapel, and an annual South By Southwest showcase each spring called the Heartbreaker’s Banquet. 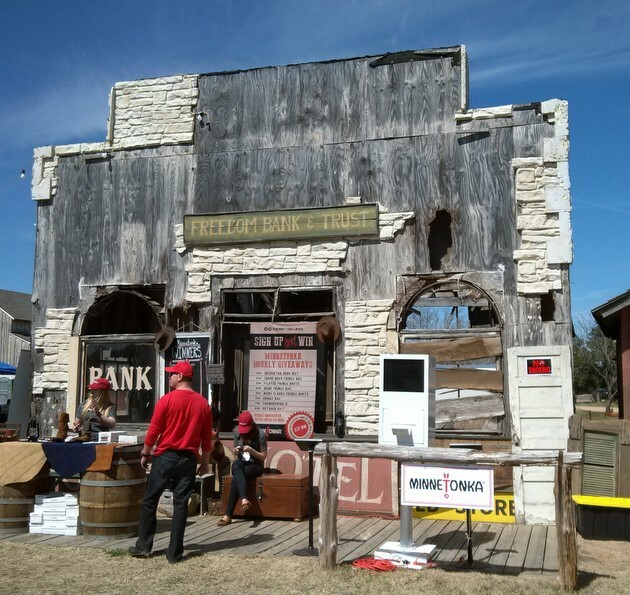 Saving Country Music was just out at Luck, TX covering the SXSW event where artists such as Shakey Graves, Willie Watson, Shovels & Rope, Nikki Lane, American Aquarium, Lukas Nelson, Hurray For The Riff Raff, and Willie Nelson himself performed. 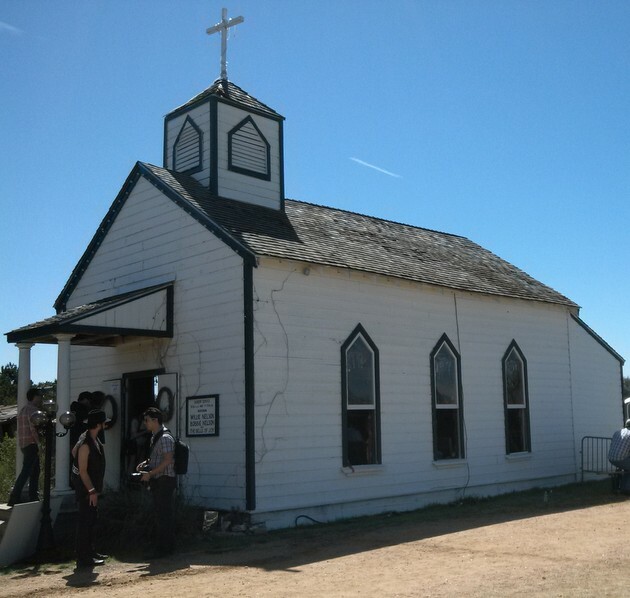 The chapel served as a listening room, and Willie Nelson’s now damaged “World Headquarters”— one of the largest structure on the property—was the VIP section at the side of the main stage. 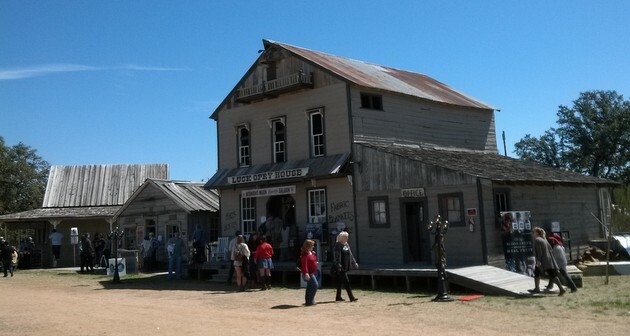 Many of the towns structures were already in various states of disrepair. On Tuesday, Willie Nelson released his latest album, Band of Brothers, and two acoustic videos (see below) to promote the album were recently shot in Luck’s World Headquarters. Wow, So Willie’s got a golf course? Sad to hear that but glad no-one was hurt. Would like to visit one day! The town reminds me of Willie’s guitar, fragile. If you can find the book “The Tao of Willie Nelson” it’s a great read. He talks a lot about “Luck” in there. Reading it was like talking to an old buddy.